The examination will be held on April 23, 2019 [10 Baishakh, 2076] and the examination starts from 7:00 am onwards. 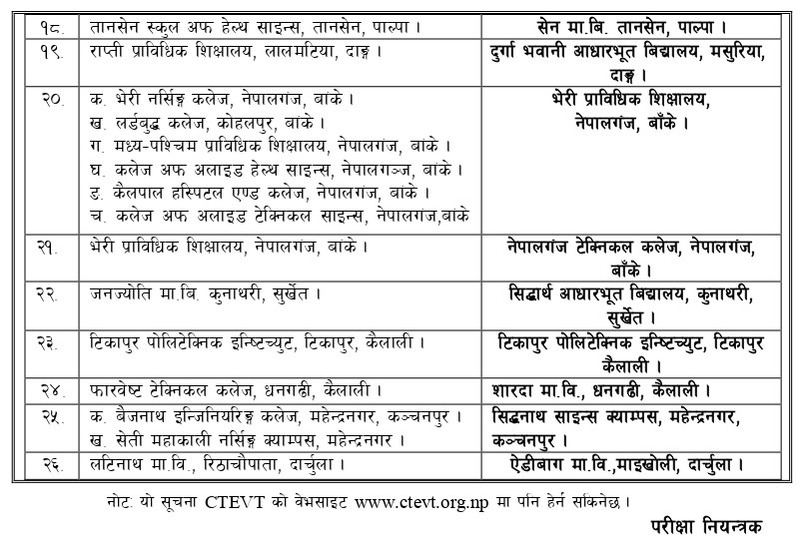 Download in PDF | CTEVT Exam Centers for Diploma/PCL Level 2076 | Scholarship Programs from the official website of CTEVT. 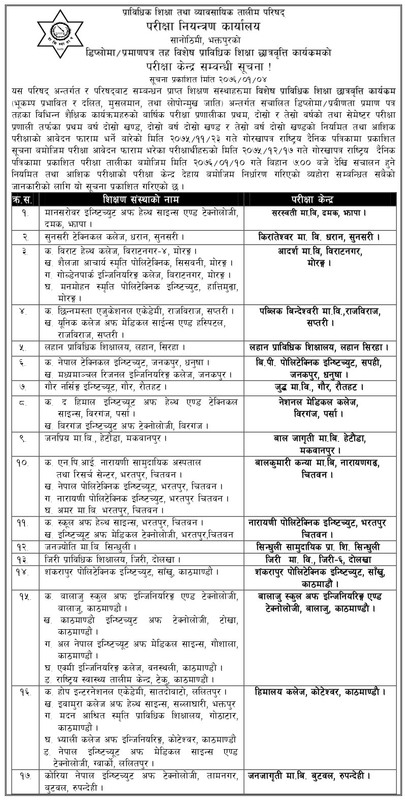 0 Response to "Exam Centers for Diploma/PCL Level 2076 | Scholarships Programs | CTEVT"